On September 20, 2016, the Internet was buzzing with reports of Angelina Jolie-Pitt filing for divorce from her long time partner of twelve years and husband of two years, Brad Pitt. The demise of Angelina Jolie-Pitt’s and Brad Pitt’s two year marriage raises questions about the division of their assets in divorce. “The couple have six children together–and more than half a billion dollars worth in cumulative earnings,” according to Forbes.com. “Since their marriage in 2014, the duo have earned a combined $117.5 million before taxes and fees, per Forbes’ estimates. Pitt made the bulk of that cash, with some $76.5 million banked–nearly double Angelina’s take home in that period.” The pair have been together since 2004. During that time Brad Pitt earned an estimated $315.5 million pretax, according to Forbes. Jolie and Pitt’s relationship began in 2004, a decade before their marriage in 2014. At the time, Jolie had an adopted son, Maddox and, while dating Pitt, she adopted a daughter, Zahara. Pitt later legally adopted Maddox and Zahara. In May 2006, Jolie and Pitt had their first child together, daughter Shiloh. In 2007, they adopted a son, Pax. In 2008, twins Knox and Vivienne were born. Seven years and six children later, Pitt proposed in 2012, and they were married in 2014. Given that the parties were in a relationship for twelve years but married for two years, the question becomes what will happen with their estate in the divorce? This is not an unusual circumstance. Many couples are now living in a relationship akin to marriage for many years prior to marrying. While it is unknown if they have a prenuptial or a post-nuptial agreement, in New Jersey, the initial inquiry when addressing property division in a divorce is on the classification of property as marital or premarital. The court is authorized to distribute equitably “. . . the property, both real and personal, which was legally and beneficially acquired by them (the spouses) or either of them during the marriage. However, all such property, real, personal or otherwise, legally or beneficially acquired during the marriage or civil union by either party by way of gift, devise, or intestate succession shall not be subject to equitable distribution, except that inter-spousal gifts or gifts between partners in a civil union couple shall be subject to equitable distribution. N.J.S.A. § 2A:34-23(h). In the case of the Jolie/Pitts, this means that only property acquired during their two year marriage, not their entire twelve year relationship, would be subject to equitable distribution pursuant to N.J.S.A. § 2A:34-23(h). Although, N.J.S.A. § 2A:34-23(h) only permits equitable distribution of property legally and beneficially acquired during marriage and does not permit equitable distribution of property legally or beneficially acquired by parties prior to marriage, equitable remedies such as (1) resulting trust, (2) constructive trust, (3) quantum meruit, (4) quasi- contract, and (5) transmutation are available under the proper factual circumstances, to a spouse laying claim to assets acquired by the other spouse during the period of cohabitation prior to marriage. In addition, the family court is a court of equity. Facts, not principles of law, decide cases. Bendix Corp. v. Dir. Div. of Taxation, 125 N.J. 20, 41 (1991). The law is not to be applied in the abstract, but must be considered in light of the facts in an individual case. Hanover Ins. Co. v. Franke, 75 N.J. Super. 68, 74 (App. Div.1962), certif. denied, 38 N.J. 308 (1962). Accordingly, the court may give full range to equitable doctrines in dealing with matrimonial controversies. See Kazin v. Kazin, 81 N.J. 85, 94 (1979). Depending on the circumstances, an equitable adjustment of the rights of the parties may vary from one case to another. In Coney v. Coney, 207 N.J. Super. 63,75 (Ch. Div. 1985), the Court stated, “Given this circumstance, it would be unwise to require some form of contract as a prerequesite to relief in the courts. Rather, we should presume ‘that the parties intend(ed) to deal fairly with each other’ upon dissolution of the relationship, and consequently, in the absence of agreement, ‘employ the doctrine of quantum meruit, or equitable remedies such as constructive or resulting trusts’ in order to insure that one party has not been unjustly enriched, and the other unjustly impoverished, on account of their dealings.” Id. “Transmutation is another judicially created doctrine where the courts are willing to go beyond the basic stricture of statutory classification of separate and marital property, where the strictures would lead to inequitable results.” Id. “According to this theory, property that once was classified as separate or non-marital can be transmuted into marital property when the spouse with title represents to the other spouse that the property will be shared.” Id. The analysis of the Jolie/Pitt impending divorce does not cease there. If they did not enter into a prenuptial agreement, perhaps they entered into a post-nuptial agreement, sometimes referred to as a mid-marriage agreement. The Prenuptial Agreement Act does not apply to an agreement reached between people already married. The case law surrounding the appropriateness and enforceability of post-marital agreements are sparse, three cases being the hub and spokes of this area of the law. The first of the cases to discuss the viability of a post-nuptial agreement is the trial level decision in Barbour v Barbour, 51 N.J. Eq. 267 (Ch. Div 1892), where the trial court enforced a post-Nuptial Agreement between married people who had separated and entered into an economic agreement as part of the reconciliation process. That decision of the trial court was overtured by the Appellate Division, not because such an agreement is unenforceable per se but because the particular agreement in that case had not been reduced to writing. Barbour v. Barbour, 51 N.J. Eq. 267 (E&A 1893). Importantly, neither court found that such a post-nuptial agreement violated the public policy of the State or that such an agreement would infringe State’s interest in the continuity of marriage. Barbour clearly established that this State’s common law supports the ability of married people to contract during their marriage regarding their marital rights and obligations in divorce. As can be seen the factual circumstances of the Jolie and Pitt divorce are not so simple. 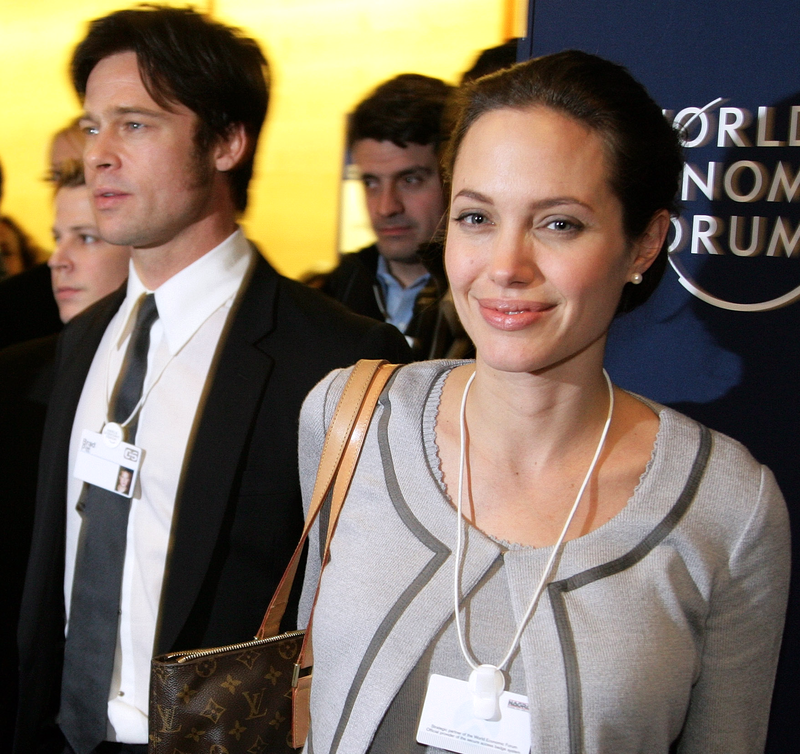 The divorce of Jolie and Pitt brings to the fore front many considerations overlooked in long term relationships that end after a short marriage. If you are in involved in divorce resulting form a short marriage, but your relationship existed for many years, under the right circumstances there may be a basis for arguing that equitable distribution should not be limited to the duration of the marriage, or limited to assets acquired during the marriage. An attorney should be sure to make the necessary inquiry as to all claims available to their client and raise them early on in the proceedings.